Rated 4.2 / 5 based on 21 reviews. Price Range: 200.00 Rs. to 300.00 Rs. Introduction : Breccia Aurora Marble is Produced In Italy. Breccia Aurora Marble looks very Luxurious ,adds Beauty To Home & Useful in both Residential & Commercial Projects. Breccia Aurora is available in various types Like Breccia Beige, Breccia Green, Breccia Grey ,Breccia Aurora , Breccia Onichito etc. which are varied according to the Looks , Quality & Colour of Occurrence. Nowadays, Breccia Aurora is very Popular in Stone Industry Because of its Eye Catching Looks. Forms & Sizes of Breccia Aurora Marble : Blocks, Slabs , Tiles etc. 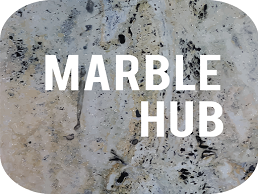 Italian marbles are Popular Worldwide, Basically Due to Few few famous Italian marble Products Like Dyna Marble, Botticino Marble , Breccia Aurora Marble, Italian Statuario Marble Or Satvario Marble, Carrara White Marble ,Perlato Sicilia Marble, D- Martino Marble , Thassos White Marble, Travertines , Onyx, Arbecasto Marble and Calacatta Marble, etc. But Breccia Aurora Marble is in huge demand & are very much Used by the Consumers for their Home Because It is Available In Economical Price Range & Looks Very Beautiful also in comparison to Other Italian Marbles in This Price Range. Classic Vegas - 72 x 64 x 82 Pcs. YOU WANT TO SUGGEST ANY BRECCIA AURORA MARBLE SELLER TO US. Are u a Breccia Aurora Marble Seller ?